It’s a few weeks away yet, but we are having another Fashion Show fundraising event. The last one was very successful and this one promises to be even better! 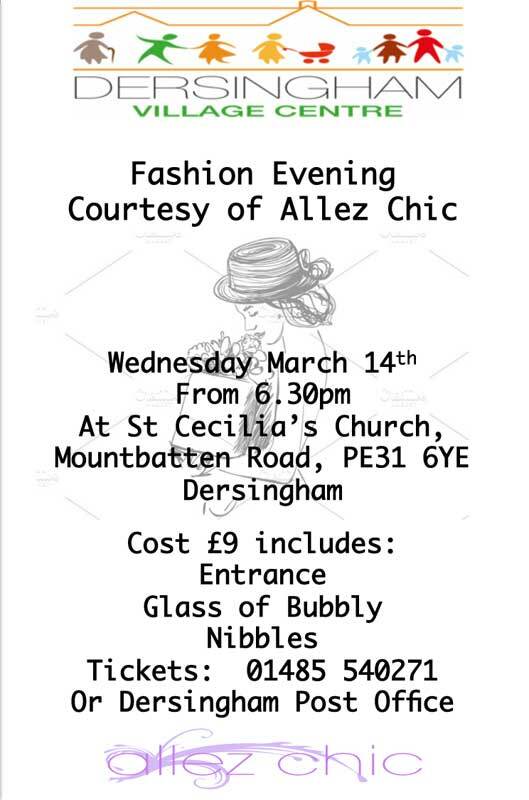 See the poster for details, but the date is Wednesday 14th March, from 6.30pm in St Cecilia’s Church Hall, Mountbatten Rd, Dersingham. It sounds fun so pop in in your diary!